Nick White studied at Chetham’s Scool of Music, Worcester College Oxford, and the Guildhall School of Music & Drama where he had clarinet lessons with Thea King, Roy Jowitt and Colin Lawson. He has had a varied career having played with a diverse range of groups including Northern Ballet Theatre Orchestra, The Pasadena Roof Orchestra, Zippo’s Circus Band and the Fabulous Good Time Party Boys. His recent work has included playing Lead Alto Sax with the Charleston Chasers and Principal Clarinet with the Ten Tors Orchestra. 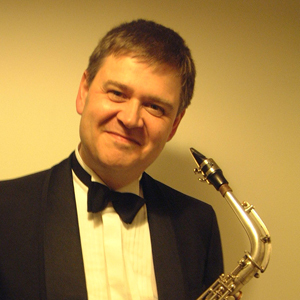 He has also worked extensively as an arranger and teacher and currently holds the post of clarinet and saxophone teacher at Exeter University. Nick White joined the Big Chris Barber Band on January 1st, 2015 - replacing Richard Exall. Back to the Big Chris Barber Band page.